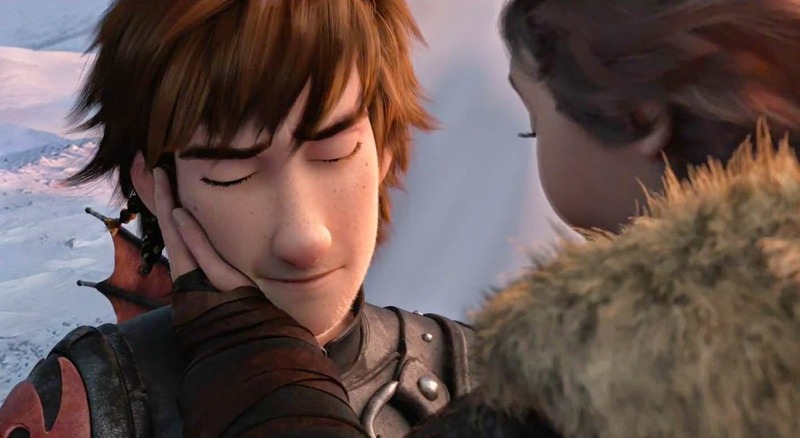 Nevertheless, coming to the movie, there’s a lot going on in How To Train Your Dragon 2, which is set five years after the events of the earlier film. No longer are dragons a threat to the people of Berk, they now live together happily in this ancient Viking village, and occasionally take thrills watching the (Quidddich like) ‘Dragon Race’, (which was enhanced to a ‘too-real’ limit by IMAX). 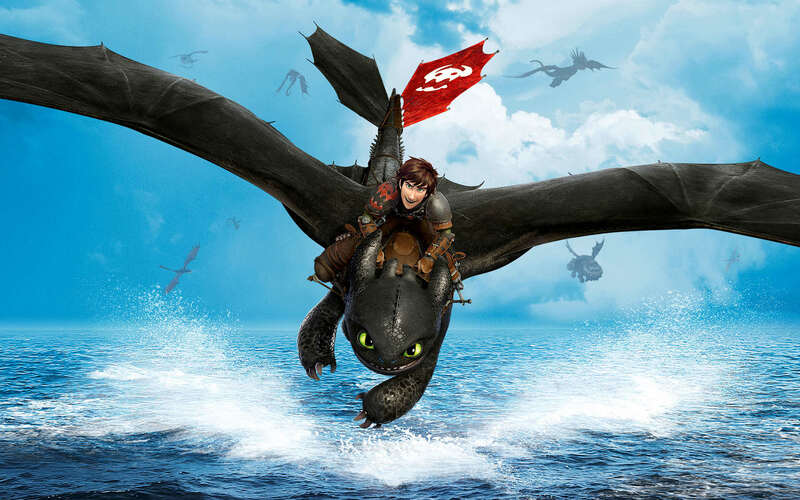 Meanwhile, our hero Hiccup (Jay Baruchel) is being groomed to take over the chief’s position by his father Stoick (Gerard Butler), although he’s more interested in exploring the world with his trusted dragon Toothless. Danger looms in the form of Drago Bludvist (Djimon Hounsou), a dreadlocked villain determined to capture all dragons, by force so he can control them. The film inherits its predecessor’s lightheartedness but introduces more drama, and darkness even, including a tragic twist that might be too intense for little kids. 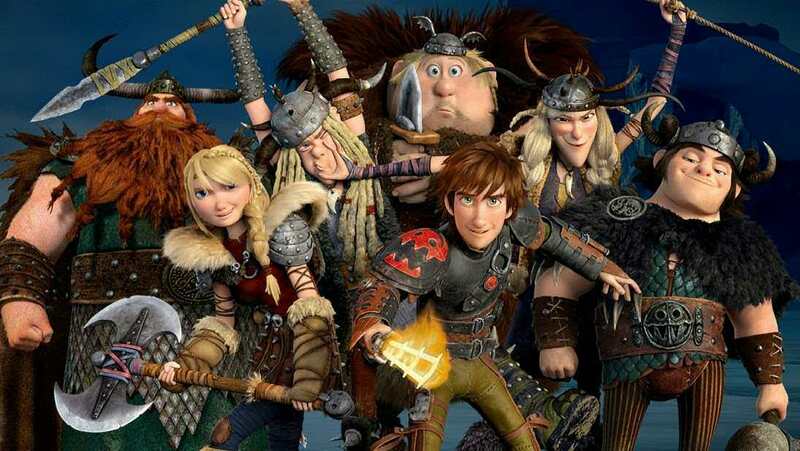 Many characters from the prequel reappear including Hiccup’s friends, Astrid (America Ferrera), Hiccup’s feisty girlfriend and Stoick’s cheery right-hand man Gobber (Craig Ferguson). The film also brings a host of new characters, chief among them the mysterious Dragon Rider Valka (Cate Blanchett), who, as it turns out, shares a deep unbreakable bond with our protagonist. We are also introduced to a gaggle of new Dragons and to many new secrets of the world of Dragons. The busy plotting notwithstanding, the film works on the strength of its terrific visuals and 3D imagery and realistic sound design, particularly the flying scenes, which are at times edge-of-the-seat exhilarating. There is both wonder and awe in the assortment of dragons that we encounter, each perfectly rendered and unique. The film also packs some nice moments like the man and beast bonding, and the beasts are shown almost as its rider’s alter-ego. Be prepared to be more than surprised by the twists and revelations of the film, for those who have watched and liked the first instalment. The films ends on a happy note with the usual all-is-well scenario, but definitely leaves on some loose ends for another sequel. I’m going with four out of five for How To Train Your Dragon 2.It’s a rare sequel that not only delivers more than its prequel, but also forges ahead with brave new ideas. Published on June 15, 2014. Updated on June 15, 2014.